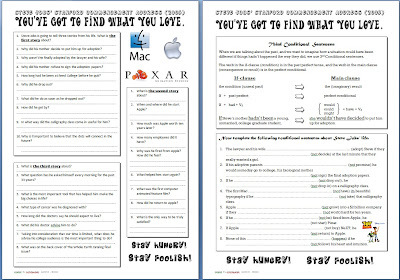 This worksheet is based on the video of Steve Jobs´ Stanford Commencement Address (2005). 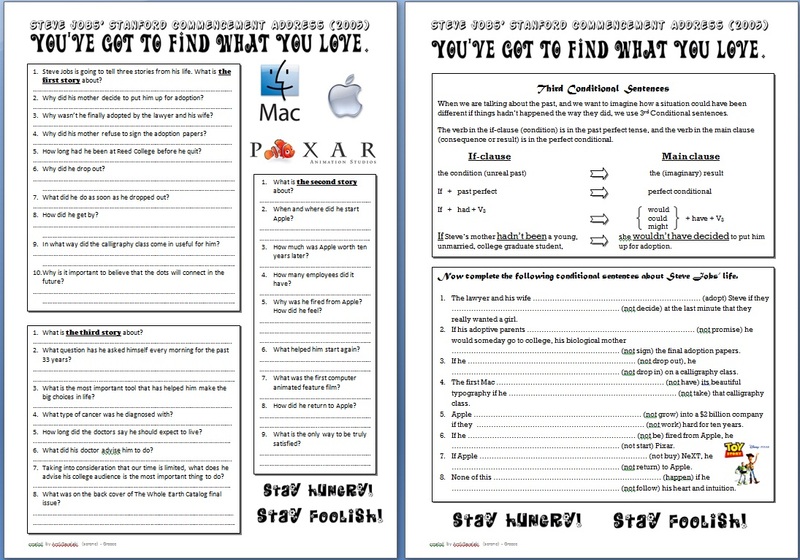 On the first page there is a set of comprehension questions for the students to discuss after watching the video. On the second page there is a brief but clear explanation of the third conditional for the students to read before they complete a number of conditional sentences about Steve Jobs´ life. A very good work sheet. The design is beautiful.